In California and in many states across the country, marijuana is now legal for medical purposes and several states have legalized marijuana for adult recreational use. This changing legal landscape has left employers wondering about their rights and responsibilities regarding drug testing for marijuana. Although employers in California maintain the right to drug test employees for marijuana and other drugs in certain circumstances—including pre-employment—medical marijuana patient advocates are working hard to change that. 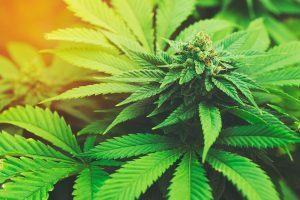 Efforts have been afoot to prohibit employers from declining to hire or terminate medical marijuana users, as well as to mandate workplace polices that allow the use of medical marijuana on an employee’s own time. • Under current law, generally an employer has the right to maintain a drug-free workplace through polices and by drug testing for pre-employment, suspicion of impairment and post-accident. • California’s new laws regulating medical use and recreational use explicitly maintain those employer rights. • Requiring employers to hire medical marijuana users undermines the employer’s ability to provide a safe and drug-free workplace. An impaired employee puts everyone at risk of injury. • The California Chamber of Commerce did not oppose legislation or regulation establishing the legal framework for medical marijuana. CalChamber also did not oppose the initiative in 2016 (Proposition 64) legalizing adult recreational use specifically because of the inclusion of language to protect these employer’s rights. • Marijuana remains illegal under federal law. Impaired workers undermine workplace safety, quality and productivity. Employers are concerned that medical marijuana users could be impaired workers, which puts the safety of the impaired employee, other employees, and members of the public at risk. An uptick in on-the-job injuries and vehicle accidents will result in increased workers’ compensation and vehicle insurance premiums. Employers and employees across diverse industries express concerns regarding the ability of coworkers to fulfill their duties if they are impaired. In many instances, employees are concerned for their own safety when working alongside impaired employees. Employers that decline to employ applicants who test positive for drugs lower the odds of workers being impaired at work. • There currently is no objective and legally recognized test an employer can administer or have administered by a testing company to confirm impairment. • Marijuana can remain in the system and show up in a drug test for up to 45 days following use in regular users. • There is no method to determine if an individual is impaired at the time the drug is found in that individual’s system or if it was consumed at an earlier time and the individual is no longer impaired. • Therefore, zero tolerance is the only policy that ensures workers are not impaired on the job. • 2018: AB 2069 (Bonta; D-Oakland) would have prohibited employers from terminating, disciplining or refusing to hire persons who use marijuana and possess a valid state identification card as a medical marijuana patient. 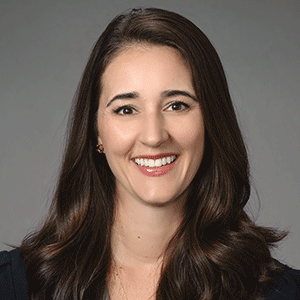 Although AB 2069 would have allowed an employer to discipline or terminate an employee impaired on the job, this provision could not be implemented because impairment cannot be determined by a clinical test. CalChamber led a large business coalition in opposition to the bill, which did not move forward from the Assembly Appropriations Committee. • 2011: SB 129 (Leno; D-San Francisco) would have created a protected classification for employees who use medical marijuana, thereby undermining an employer’s ability to maintain a safe and drug-free workplace. It would have prohibited employers from terminating, disciplining, or refusing to hire qualified medical marijuana patients. The bill failed to advance from the Senate floor. 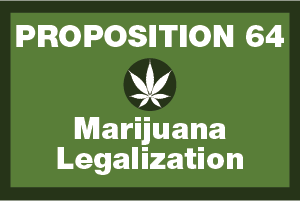 • 2010: Voters overwhelmingly rejected Proposition 19, which would have legalized recreational marijuana use and provided medical marijuana users with similar protections as SB 129. • 2008: AB 2279 (Leno; D-San Francisco) would have prohibited an employer from discriminating against a person in hiring, termination, or any term or condition of employment or otherwise penalizing a person, if the discrimination is based upon the person’s status as a qualified patient or a positive drug test for marijuana. The bill also would have authorized a person who has suffered discrimination in violation of the bill to bring a civil cause of action. AB 2279 was vetoed by Governor Arnold Schwarzenegger. Also in 2008, the California Supreme Court held that the Compassionate Use Act of 1996, which allowed Californians to use marijuana for medical purposes, did not create safeguards for such individuals in the workplace. 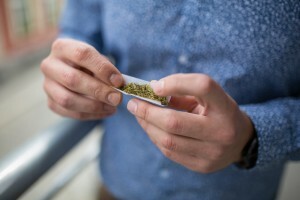 Similar court cases have been decided in favor of employers maintaining the right to a drug-free workplace despite legal marijuana use for medical purposes. The CalChamber continues to support the right of an employer to maintain a safe workplace by enforcing zero-tolerance drug use policies through drug testing, including pre-employment testing. The CalChamber opposes legislation that incentivizes or creates new employment litigation, or adds new protected classes or activities (such as marijuana use) to the Labor Code, Fair Employment and Housing Act, or Civil Code. As such, the CalChamber opposes legislation that creates an opportunity for litigation or undermines employers’ ability to maintain a safe and drug-free work environment.